Exposure to mold infestation, especially in-home contamination, poses a number of serious risks and health issues. Weakness and fatigue, poor memory, respiratory problems, joint pain, skin irritation, numbness, headache, and difficulty concentrating. These are just some of the most common health issues associated with exposure to mold. Long-term exposure can cause extreme sickness and even death. So it is very important to be able to detect signs of mold infestation as soon as possible so you can act quickly before the infestation spreads. 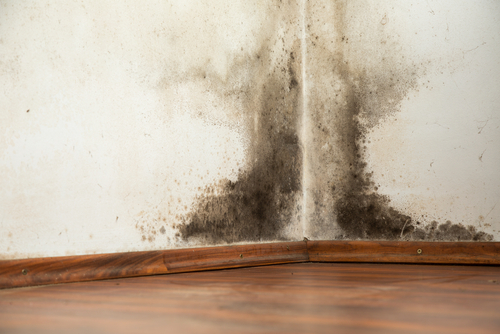 Here are some of the most obvious signs that you may have a serious mold issue looming. The most obvious indicators of a mold infestation are visible mold spores and/or the presence of a strong, pungent odor in certain areas of your home. These signs tell you that a mold infestation has likely already begun, and that the conditions for continued mold spore propagation are present in your home. If you are noticing the obvious signs, it’s likely the mold is at an advanced state of growth in your home. If the infestation is less severe, you may not be able to detect it so easily. Just because the outward signs of mold are not present, does not mean your health will be spared if mold spores are present. The best indicator is if you feel better and healthier whenever you leave your home. If you find you breath easier when you are out at work or shopping, this usually is a good sign of excessive dampness, stale air, and a possible mold problem. If you think you may have a mold problem, you should strongly consider scheduling a professional inspection. The truth is, whether mold is visible or not, it is very hard to know the extent of a mold problem unless a reasonably thorough inspection is made. Mold inspectors typically use specialized equipment to look into hard-to-access areas. Only then can they determine the full-extent of a potential mold problem and begun addressing this serious issue effectively.